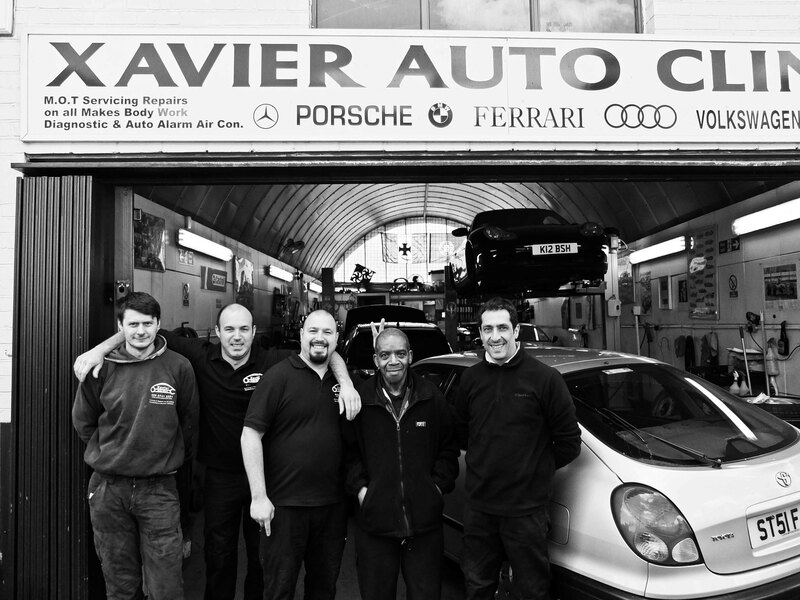 Xavier Auto Clinic is a family run garage, built by two brothers and team of ole faithfuls based in London, Hammersmith. It’s a place where your business is truly important to the team. For us it not about making that quick buck (which garages are all to well renown for), but in developing genuine, real long-term relationships with our customers of value and authenticity. We set about, not just for our Auto clinic to meet industry the standards set out by vehicle manufacturers and associations, but to excel and use the highest quality parts available complimented, by a warm service in line with your budget and time. You could say we consider ourselves “fixers”, so if we can help, provided assistance, or offer you knowledge of value in any way… we’re just a phone call away. And if there’s a specialty you require that isn’t listed – it’s ok, because we’ll do our best to accommodate or point you in the right direction. Our business is supported well by local residents, and a bunch of loyal customers, so if its your first time with us, our intention is for you to drive home feeling special and to make you one of the tribe. The plan? Is that we want all our customers to come back, not once, not twice but for as long as we’re around. So your vehicle, its overall performance, safety and efficiency actually means something… it important to us, and we’ll would like the opportunity for our work to do all the talking. Feel free to get in touch we look forward to hearing from you.